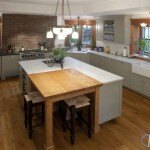 This is a truly unique kitchen! 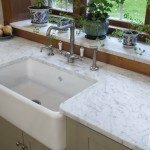 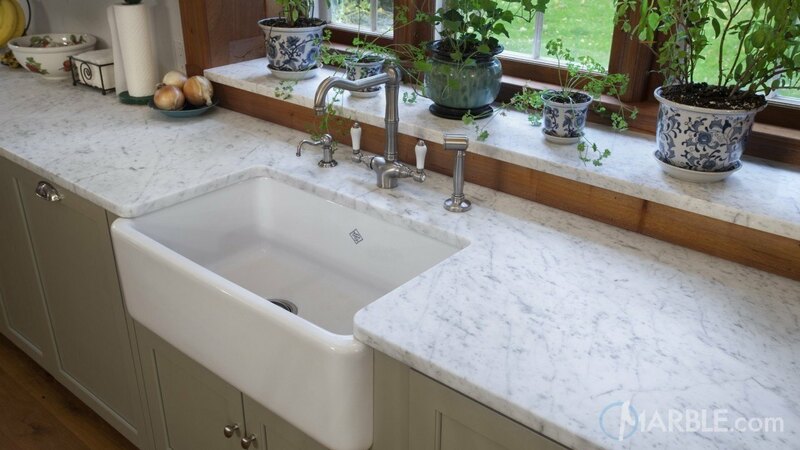 White Carrara marble adorns half of the side-wall's cabinets, as well as the large center island. 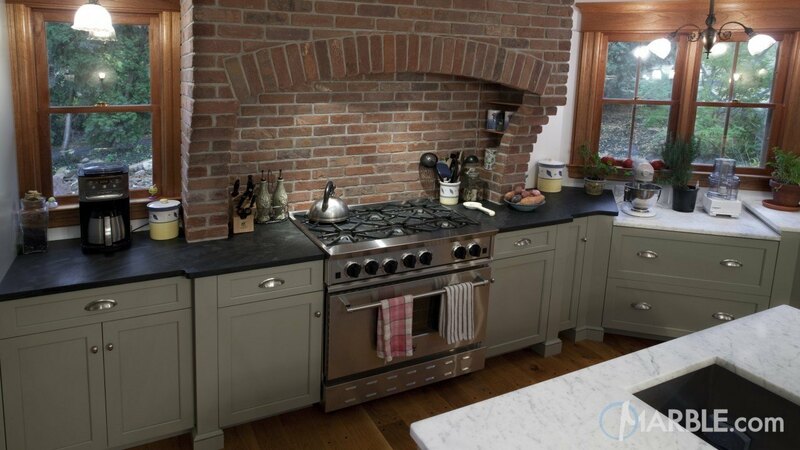 Oscuro Mist Satin granite surrounds the chef's stove on the far side. 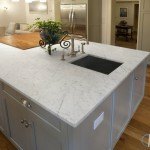 The island also features a prefect fit cut-out for a wooden dining table. 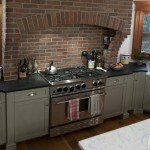 Rustic, yet modern elements run throughout: wood-trimmed windows, a brick back splash behind the oven and amazing wood floors. 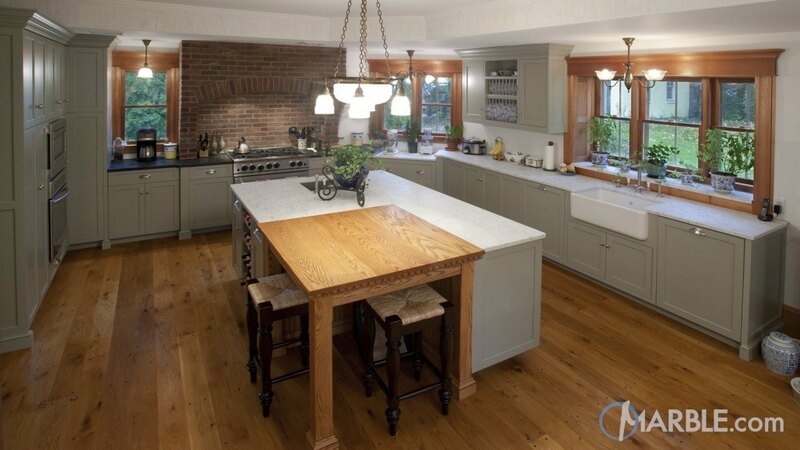 Green cabinets add charm, character and contrast to this truly one-of-a-kind kitchen.